Adana Security offers many careers opportunities for experienced professionals who are interested in joining strong teams, learning in a dynamic environment, and thriving on challenge. We provide an environment where people leverage their skills, talents, experience and interests, to grow professionally and build rewarding careers. Adana are currently seeking motivated professional Security Officers to work on a number of sites across the Midlands. Working various hours, our Security Officers are responsible for maintaining the day-to-day security requirements of their given site - maintaining an excellent corporate image and high standards of professionalism. These vacancies are covered by the Working Time Regulations. A suitable SIA licence must be held, along with a current driving licence and access to your own transport. We expect you to be smart, well-groomed and confident with clear communication and good inter-personal skills. Be reliable, self-motivated and with excellent time-management skills. Adana Security will also conduct a comprehensive vetting process over the past five years, or since you left compulsory education, whichever is the longer. Adana Security is an equal-opportunities employer and welcomes applications from all suitably qualified and eligible candidates. 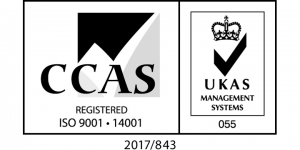 Adana Security offer successful candidates a range of employee benefits including 28 days annual leave (excluding statutory holidays), a company sick-pay scheme and a contributory pension scheme. 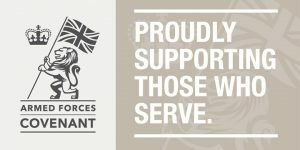 Adana recognises the value serving personnel, reservists, veterans and military families bring to our business. We seek to uphold the principles of the Armed Forces Covenant, by: seeking to support the employment of veterans, young and old, and working with the Career Transition Partnership (CTP), in order to establish a tailored employment pathway for Service Leavers; striving to support the employment of Service spouses and partners; endeavouring to offer a degree of flexibility in granting leave for Service spouses and partners before, during and after a partner’s deployment; seeking to support our employees who choose to be members of the Reserve forces, by including accommodating their training and deployment where possible. We believe in and encourage personnel development. For those Security Officers who excel in their positions and want to advance their careers, Adana Security offer further Vocational NVQ training to complement their existing set of security and customer service skills. If these vacancies don't suit you, we do welcome speculative applications for support and qualified staff. Please contact our Human Resources team for careers details. Please note that by submitting an application we assume that you are happy for us to hold it for future reference. In the first instance, please call our Human Resources team on 01604 931193 or email operations@adana-security.co.uk for further information or to apply.